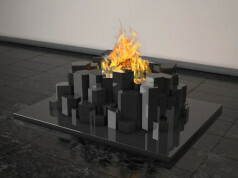 What common between the bio fireplace Tetris and the popular in 80s and 90s computer game? The name is not the only element joining the italian device and the classic jigsaw. 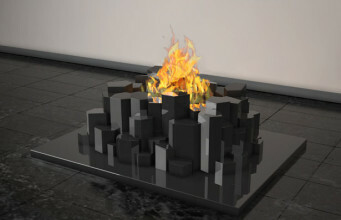 The ecological fireplace consists of some items, which you can rearrange and rotate at will just like the well-known bricks in the game, creating this way different arrangements. Despite all the evident similarities to the popular game, the model of this bio fireplace is not an ordinary jigsaw, but it’s a sophisticated and non-trivial way to decorate the interior. 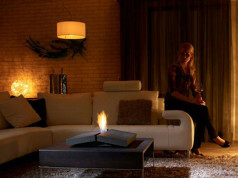 Even though the Tetris – known worldwide popular game – was invented more than 20 years ago, it is still inspiring not only the programmers, but also the designers of bio fireplaces. 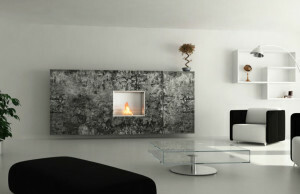 Just like the ecological fireplace Tetris, designed by Paolo Grasselli, belonging to the luxurious brand Horus. 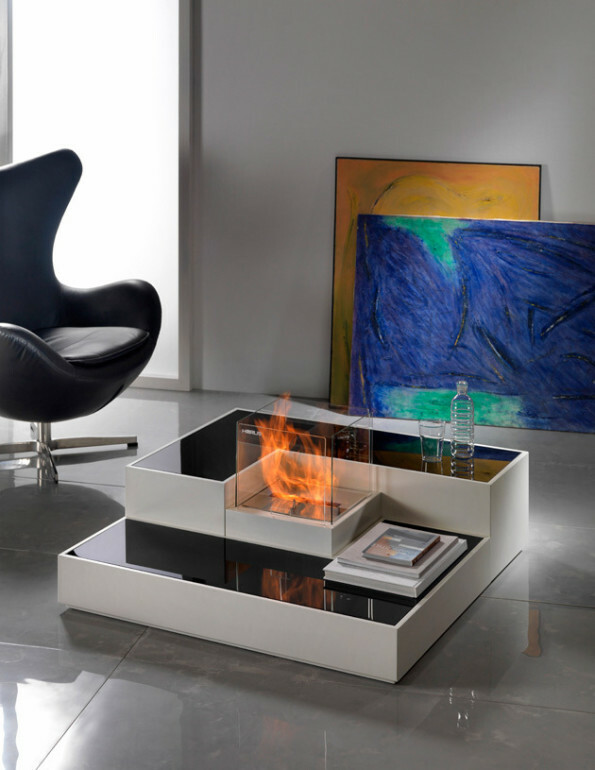 Despite that it’s name harks back to the popular and well-known game, the bio fireplace itself was made for the chosen, who can appreciate the elegant and unbeatable form of this model. Tetris consists of three elements – biofuel tank volume with the pedestal and two isolated shelves of different height, patterned after the “L” bricks, which can be rearranged and rotated at will. 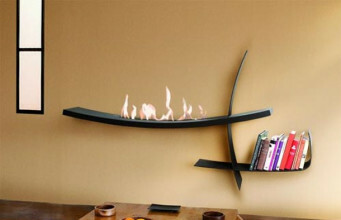 The configuration of this bio fireplace is up to us, depending on a situation and environment. From the apartments to the commercial zones. We can use it as a coffee table, bookshelves, impressive decoration or just as fireplace warming up and brightening the housing. 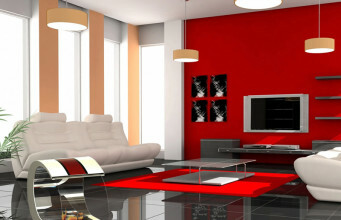 In that way Tetris, apart from the decoration function, can be not only practical, but also elite piece of furniture. It’s really important in a small interiors, where limited possibilities do not allowed to place a lot of functional and essential furniture. Tetris is available in two, universal colours: white and black-and-white. The construction made from the high quality stainless steel and the glass protecting from the fire is the example of modern and minimalistic design. 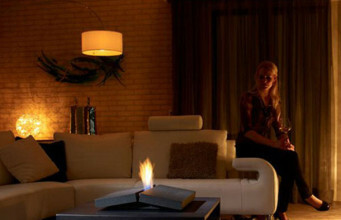 Except the nice-looking design and functionality, bio fireplace Tetris is also ecological. This device does not produce smoke, carbon monoxide or other toxic gases. The only combustion products of the fuel for the ethanol fireplaces is steam, which perfectly and pleasantly moisturizes the housing. 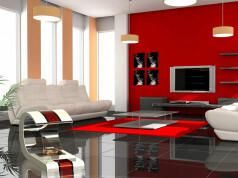 The simplicity of its use, which will be appreciated even by the most choosy customers, gives us the absolute relax. It does not produce any ash or soot, there is no need to clean it. The ecological fuel combusts in couple of hours and does not need any additional control. Tetris is also very safe device, what is confirmed in many tests and international certifications. 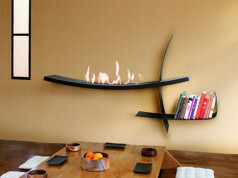 It is really important not only at home, but also in commercial spaces, where bio fireplace Tetris looks great because of its modularity and rearrangement. This model is not only a very impressive interior decoration, but also the pleasant warmth, creating the homely atmosphere. Thanks to it we have the possibility to admire and savour the fire show.